Escape the cold and avoid the chaos of the season at the movies. Nothing better than time spent with the family watching festive holiday films. From timeless classic to new animated features there are lots of movies to enjoy. Take a look at the upcoming holiday release Elliot the Littlest Reindeer. A family friendly Christmas film tells the story of a miniature horse that has three days to fulfill his lifelong dream of earning a spot on Santa's team at the North Pole try-outs. Blitzen announces his retirement on December 21st to open his own juice bar. To save Christmas The North Pole hosts a reindeer competition to find a new helper for Santa. Elliot, a little horse with big dreams living in the petting zoo with other animals, wants to take his chance and participate in the competition. 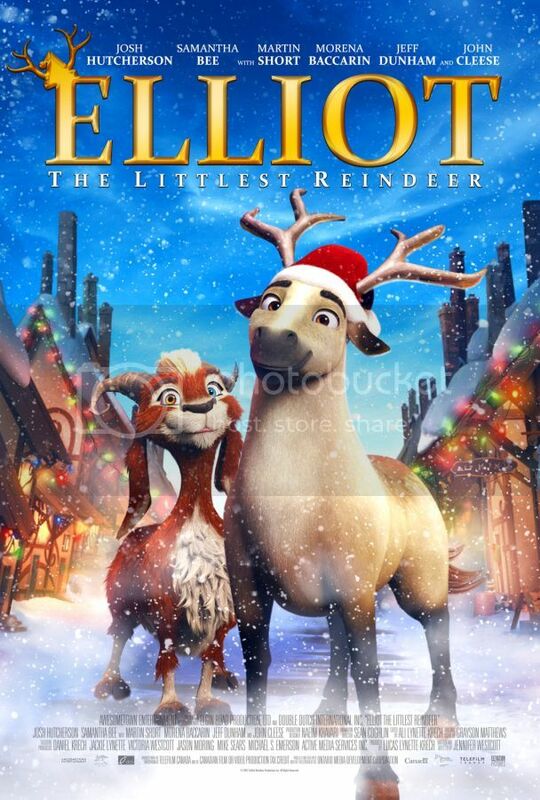 With his best friend goat Hazel, Elliot dress up like a reindeer to take one step forward to the big dream. Only reindeer can participate in this competition! Elliot the Littlest Reindeer opens in select cities across Canada on December 2nd, and on home entertainment on December 4th.